English-style perry. Dry, rich fruit aroma, and somewhat astringent. Comes in a 750 ml bottle, with light sediment. Rich golden colour, with a slight peach hue, and a light, floral aroma, but with a distinct sulphur edge and woody tones. 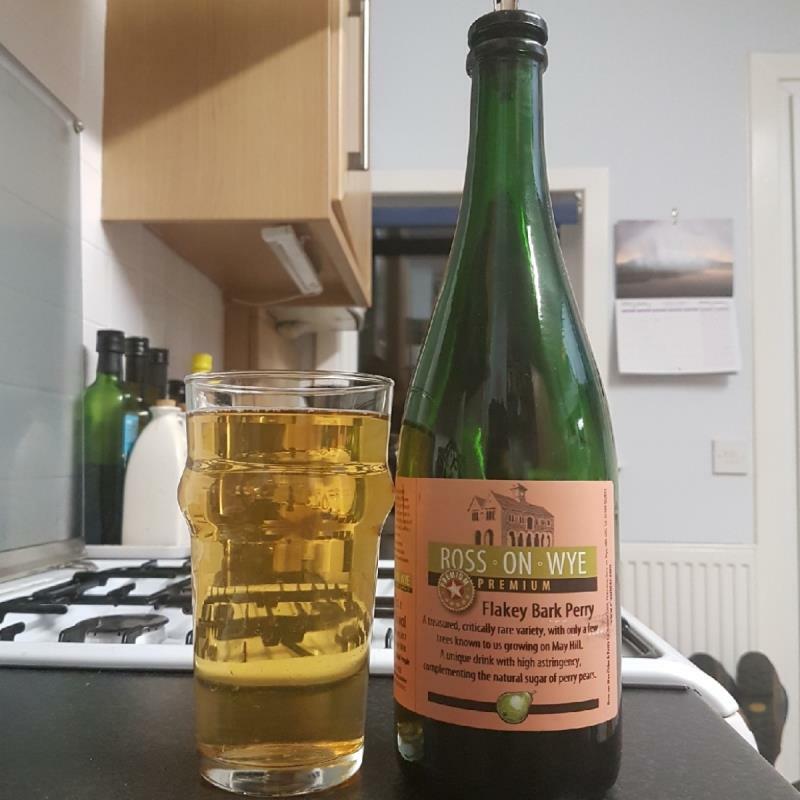 Dry and becoming more astringent in the aftertaste, the flavour is of pear skin and wood, but with a little honeycomb too, and a slight sourness in the finish. Unusual, single varietal, from a very rare variety. The flavour is initially challenging, but grew on me, though the sulphur edge to the aroma also takes some getting used to. Not an everyday perry, but worth a try.